Our UK Autism Charity Anna Kennedy Online is going from strength to strength supporting and sharing information to many families and adults affected by Autism. Ever since I started my own journey with my own boys Patrick and Angelo and wanting to help and support those who like them have a diagnosis of an Autism spectrum condition I am frustrated and disappointed with the lack of facilities and support across the UK. Of Course Autism spectrum conditions does not just affect children and teenagers this is a lifelong condition for many people who can often can face perplexing problems such as behaviour difficulties and many overlapping conditions such as Dyslexia, Obsessional Compulsive Disorder etc. The facilities are beginning to improve however,with Local Authorities and Charities being hit with cuts it is an ongoing battle. This is why it is so important that all of us who are involved with and affected by autism should continue to fight hard and make our voices heard in improving educational and other resources for individuals, their families and carers. I also know that there is a huge demand for help, support and advice among the growing community of people whose children or loved ones are touched by autism. Since we launched Anna Kennedy Online, we have seen visits to the site grow enormously as more people discover what we are about and can offer and also contribute their experiences, tips and advice that can help others who are looking for help. I have been truly humbled by the number of emails and letters I receive from people telling me that they have at last found somewhere they can turn to for help and support. You can see my journey further below which includes some amazing experiences that I would love to share with you, I’m so fortunate to have a fantastic team, my ‘A Team’ Lisa Robins, Tally Nothey and my husband Sean and our Charity Champions Mala Thapar, Beverley Guest, Jo Wiggins Annand, Keith and Dawn Avery who are dedicated supporters of Anna Kennedy Online. 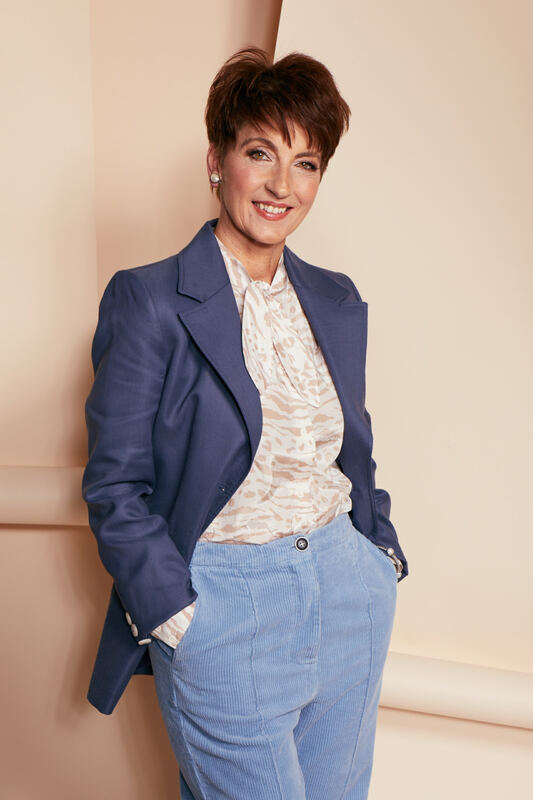 We are grateful for the support of our Patrons and Charity Ambassadors who help us spread the work of our Charity.Please click here to read an article recently written – called an Interview with Anna Kennedy OBE. We work hard as a Charity to provide Training, Legal Advice, a Helpline, Talks across the UK, providing a Website and daily updates on Social Media. We work hard on annual events such as the amazing ‘Autism’s got Talent’ the roadshows, Zumbathons, Flashmobs, AKO Expo and the successful UK Charity Autism Hero Awards. We are proud to be collaborating with Traing2Care UK the autism reality experience. Raising awareness across the country on how sensory overload can impact on day to day living for autistic individuals. I am proud to be patron to Options Autism, DaisyChain, ADHD Club, Autism Support Crawley, Kilmarnock Horse Rescue, Week on the Street, Cheshire Autism Practical Support, Square Peg Foundation, Ambassador for Puzzle Centre and Autism Anglia. I am also a committee member of LOANI, Ladies Of All Nations International Group. Our Advice service is FREE to users but of course we do have many expenses and running costs so we are always seeking help through advertising, sponsorship or donations. If you are able to help in any way please click here and go to our donations page . Also if you know any organisations that would like to advertise on the Anna Kennedy Online portal please contact Lisa Robins at lisa.robins@annakennedyonline.com Tel: 01895 540187. Anna was awarded an OBE (Royal Reward for Inspirational Mother) in the Queen’s Birthday Honors by Queen Elizabeth II at Buckingham Palace for her services and campaigning work for autistic children. I was invited as a guest speaker by TedX as their theme was ‘Breakthrough’ and this talk was given at a TEDx event using the TED conference format but independently organised by a local community, please watch the video. Anna Kennedy has been highlighted by Amnesty International as woman making an extraordinary difference and has won fresh recognition for her pioneering support for children with autism. Anna was also featured on Amnesty’s Suffragette Spirit Map of Britain of woman who have gone above and beyond, which resulted in them being nominated. Anna was chosen as one of six “inspirational but everyday heroes”, from more than 11,000 nominees, to take part in BBC One’s The People’s Strictly for Comic Relief in February 2015. Please watch the videos below to follow her journey through this incredible opportunity to share her life and also raising Autism Awareness to an audience of 11 million! This was when Anna was surprised on stage to announce she was selected!